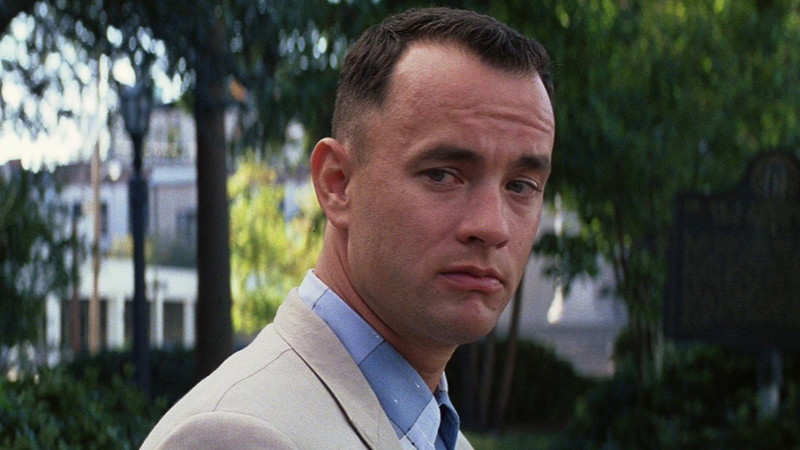 Tom Hanks in FORREST GUMP. ©Warner Bros.
Sony Pictures decided to invite only TV reporters and a few select print/online outlets to a lavish premiere of the Ron Howard-directed “Inferno,” the next chapter of Dan Brown’s “Da Vinci Code” saga. So instead of posting an interview with two-time Oscar winner Tom Hanks about reprising his intrepid symbologist character Robert Langdon in that film, Front Row Features instead offers you a list of the legendary actor’s five best films and the five he should have avoided. “Forrest Gump.” No one has played a more lovable simpleton with an uncanny ability to be at the right place at the right time as Hanks did in this 1994 heartwarming dramedy directed by Robert Zemeckis, based on Winston Groom’s novel. “Big.” The eternally youthful and wholesome actor showed us what it might actually be like to be a kid again in this 1988 Penny Marshall-directed comedy. The “Toy Story” movies. Though Hanks only provided his voice as the lovable cowboy doll Woody, he imbued the character with enough humanity that we actually forgot it was animated. We cried with him when he believed he lost his owner Andy to adulthood and shared his joy in friendships with Buzz Lightyear and the rest of the gang in John Lasseter’s unforgettable Pixar trilogy. “Cast Away.” You try acting for two hours and 23 minutes with only a volleyball as a scene partner. Hanks completely immersed himself in this role as a stranded airplane crash survivor making the most of his solitary situation in this 2000 film by Robert Zemeckis. “Saving Private Ryan.” Hanks played the quintessential hero who leads his men to find and return one of their own alive in this patriotic feel-good drama helmed by Steven Spielberg, with whom he would team up again and again on other film and TV projects. “The Ladykillers.” Tom Hanks. The Coen Brothers. What could go wrong? Just about everything in this ill-conceived 2004 remake of a 1955 bank heist comedy. “A Hologram for the King.” Fortunately for Hanks, virtually no one saw this snoozefest released earlier this year and directed by the usually imaginative Tom Tykwer, in which Hanks plays an American business who travels to Saudi Arabia to meet with the country’s king. And waits. And waits. “The Polar Express.” This 2004 Warner Bros. flick is perhaps the creepiest-looking animated feature ever made by a major studio. Not entirely Hanks’ fault but he should have just stuck with the “Toy Story” franchise in order to maintain his younger fan base. 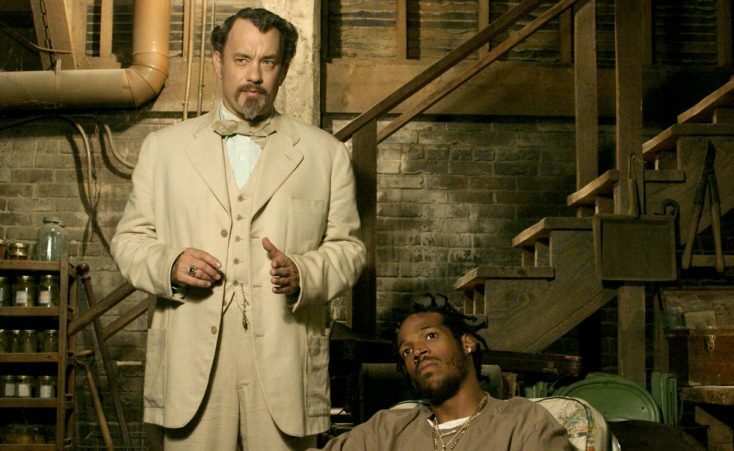 “The Terminal.” Another 2004 Hanks effort in which his character waits and waits and waits. At an airport, no less. His Slavic accent didn’t really work and the story had nowhere to go. He and Spielberg should have both changed their flight plan on this one. “Road to Perdition.” Hanks was entirely miscast as a gangster in Sam Mendes’ beautiful-looking but boring as heck 2002 “The Godfather” wannabe. Previous PostPhotos: ‘Skiptrace,’ ‘Agatha Raisin, ‘Janet King,’ More on Home Entertainment … plus giveaways!